Of the 28 million migraine sufferers in North America, 21 million are estimated to be women, according to the National Headache Foundation. If you have reoccurring headaches, you know how wonderful it is to have pain-free days when you can live life to the fullest. Your lifestyle choices can affect the intensity and frequency of your headaches. Following are several tips that will help reduce disruptions to your life from migraines. Reducing the amount of stimulation that you have during the day can decrease your likelihood of triggering a headache. Be aware that you may need to plan fewer activities than other people, and live at a slower pace. This may help decrease the frequency of headaches. Respect your need for large breaks between activities to give yourself time to adjust to a new environment. Perhaps you can schedule fewer changes in activities in your day and consider how this can be applied in your work place. Some experts believe that the constant stimulation of computer work may trigger a headache. If you spend a lot of time each day on the computer, take regular breaks from using your eyes for close up or computer work to lessen eye strain that may contribute to headaches. Be aware of your needs for breaks and flexibility when planning excursion or traveling. This will reduce stress for both you and your family. When possible, I recommend planning your outings with a flexible schedule in mind - whether booking accommodation without a restrictive registration time, or ensuring flexibility when attending an entertainment event. When driving, schedule longer periods at stops along the way to allow extra time to relax. By planning fewer events with specific or set times, you will be able to take time to rest if you do get a migraine. If you plan your trips with your needs in mind rather than rushing to visit all possible attractions, you are far less likely to become frustrated and your whole family will enjoy the trip more. I highly recommend developing regular sleep and meal schedules as daily habits. Irregularities in either of these can play havoc with migraines, and these lifestyle choices are easy to control. Once you start to adhere to both regular bed times and meal times, you will be developing a habit that will enhance your health throughout your life. Low blood sugar levels from not eating on time and being overtired can account for some migraines. Also, by building good reserves of nutrition, you increase your health and reduce the likelihood of general stress. Eating well balanced meals and snacks with plenty of carbohydrates and proteins throughout the day have been found to help reduce the likelihood of getting a migraine. Also, it is important to drink adequate water throughout the day for your activity level to stave off headaches. You may want to watch to see if certain foods may be possible migraine triggers. Foods such as MSG, nitrates, aged cheeses (tyramines), grapes (sulphured products), chocolates, and even citrus are known trigger migraines in some people. Some of these foods may be easy to identify as triggers, while others may take some sleuthing. Keep a daily log of your diet and notice if headaches reoccur in association with certain foods. Finally, if you avoid the temptation to be perfect, you will more effectively manage stress levels and reduce the likelihood of headaches. Most of us are our own worst critics - so work hard at being satisfied with doing your best and appreciating yourself for doing just that. You can also reduce both time and quality expectations by undertaking fewer tasks for yourself than you expect you can reasonably get done. Try these strategies, and you may find that are enjoying more of your days and thriving, even with a migraine condition. You may discover that some of these tips will help reduce both the frequency and severity of your migraines. Carefully observe what activities, choices, and foods benefit you, versus those that adversely affect you. Explore for yourself what lifestyle adjustments work best for you. 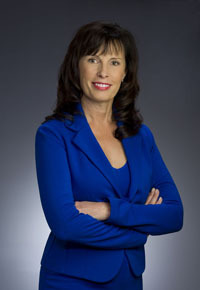 Fran Miller, MA, is the founder of Full Circle Fulfillment. As a health and life strategist she partners with people, including those with chronic conditions, to increase their quality of life by creating their most effective environments. She offers workshops, getaways, and telephone consulting for individuals and groups and has worked with people with various chronic conditions to develop healthy goals and thrive. To learn more about how she can partner with you for enhancing your quality of life call (707) 799-3538, email frajmi@comcast.net, or visit www.fullcirclefulfillment.com, and sign up for your free report and her empowering newsletter.